[모멘텀] 모멘텀 프로토콜 CEO 대표이사인 데이빗 모크 방한, 한국을 방문하는목적, 한국에서 전달하고 싶은 이야기, 지금까지 성공시킨 일과 자랑거리 등을 힌국에 소개한다. As you probably already know, I have recently joined Momentum as CEO. I am excited to work on and lead such an exciting initiative which has a huge potential to disrupt the loyalty and rewards market! I am aware that all of our supporters have been anxiously waiting for this newsletter to be published, and as the new CEO, I wanted to compile it myself to ensure I provide you with the most up-to-date information. As consumers who take part in loyalty programs, we all know that the value of the points/miles we accumulate is often not significant. Currently, as we normally have little option in using these points/miles, we often tend to forget they even exist. This is of course a shame for us as consumers, but even more so for brands who invest vast amounts in their loyalty programs but see very little ROI, due to the lack of perceived user value and engagement. It is finally time for a change and we hope to be the catalyst for real change in the market. Our Development team is working non-stop on improving our Momentum Protocol solution, in order to lead the market with our game changing Protocol. The improved commercial version of our product is getting close to the proof of concept “PoC” phase and we will hopefully have the first alpha version of our working product by the end of the month. There are so many amazing concepts we want to disrupt the market with – such as the introduction of machine learning algorithms which are able to predict the perceived value a specific customer places on the loyalty currency (point/mile) of a specific loyalty program. We are also working towards listing on exchanges with our partner Yellow, led by Alexis Sirkia. (further updates to follow) And of course, we continue working on developing partnerships and the sales pipeline. My first month as the CEO of Momentum was very hectic but also very exciting and satisfying. I would like to share a bit of insight into what we have been up to. On March 1st 2019 the Board of Directors officially instated me as Chief Executive Officer of Momentum Protocol and Mobile Bridge. I have taken on a very active role in the previous month, and in the past years I have been successful in the procurement of capital for the company, as well as the sale of tokens for commercial customer token buyers. corporations alike, including raising funds for startups from angel investors and family offices. I am fascinated by technology and have been educated in economics and accounting. I am a trilingual C-level board executive with the ability to drive complex company processes, and lead finance and operations using my accumulated years of experience. I am an expert in business analysis and the creation of sustainable growth strategies that drive profitable growth and gain market share. As a trustee for over 15 years, I also have been active in numerous enterprises as a Non-Executive Director. Presently I am also active as a C-level independent consultant in the boardroom regarding strategy, block-chain technology, new ventures and business development. I am looking forward to working with the great team we have at Momentum, and creating the first blockchain-based loyalty rewards program protocol, enabling brands to use blockchain technology to its true potential. I would like to use this opportunity to extend my thanks to former CEO Kees de Vos for his hard work and dedication to the Momentum Protocol project in the past 20+ months. We will sure be missing you in the office and wish you all the best in your next venture. Break a leg! I am currently in Israel to meet with potential customers and government officials, as well as to oversee the preparations for our intent to open a new R&D center, that will be based in the enchanting city of Caesarea. 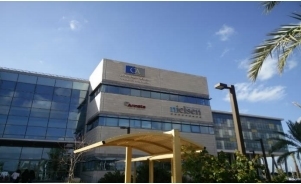 Momentum has been preparing for the opening of its Israeli R&D center for several months now, mainly due to the enormous talent and knowledge available in Israel (both generally and specifically in the Blockchain field) and the start-up friendly eco-system that Israel has to offer. the Momentum Protocol. This will unlock hidden potential and take their customer relationship management strategy to a new level. It will of course also create new customers for Momentum Protocol and its entire ecosystem, which includes you of course! making this trip possible and to make it a very useful one commercially. Throughout our stay, we will meet with businesses in various sectors in order to discuss business relationships, mutual synergies and agree on preliminary partnership agreements. In addition, we will also be planning to meet with various influential local parties who have the potential of facilitating and executing commercial marketing and business development strategies in Korea. Finally, we are also planning to hold a meet and greet with our project participants (date and time to be announced). Several speakers are expected to be present to give talks on the various subject matter in regards to the future of the loyalty rewards ecosystem, brand building and software solutions. Here Mr. Hoebarth and I will also be giving talks on the Momentum Protocol and its potential to disrupt and reshape the loyalty program market, which is growing steadily and is projected by many to reach a size of 500 Billion USD by 2020. Probably one of the most the most talked about topics is our listing process. I am aware that many commercial partners, various stakeholders and of course project supporters and token buyers are anxiously waiting for news regarding the listing on various exchanges. As we operate under Swiss regulation, we are unfortunately not able to make listing promises as they do not comply with Swiss regulations. However, I can assure you that it is in progress. As you are all aware, the cryptocurrency market is not in the best of shape – however, there have been some green signals of hope with many currencies making some nice gains in the last few days. We of course don’t know if those gains are sustainable and we do hope to see a change in market sentiment. As you can all imagine we need to be strategic about which exchanges we will be listing the Momentum token on. We are therefore working with our partner Alexis Sirkia from Yellow.com to list in the right exchanges which offer the greatest chance of success. This job commenced with the previous CEO, Kees de Vos, and the work now continues with me with the help of our partners. As previously explained, the listing date depends on a variety of factors, both internal and external. As part of my role as CEO, listing will be a topic I plan to dedicate a lot of my attention to, and of course I will be updating you on very soon. As a Swiss based company, operating under the laws of Switzerland, we need to be in full compliance with the regulations of the Swiss Financial Market Supervisory Authority (FINMA) and are therefore not able to make any promises – only execute and deliver and then update you. As a general guideline, we strive to be listed on two exchanges in the near future. Later on in the year we hope to be listed at several more exchanges, in order to achieve global coverage and to be able to reach a broad audience of commercial token buyers. We will disclose exchange names and dates just prior to the listing taking place. Almost 2,000 people and organizations have expressed their interest in purchasing Momentum Tokens prior to being listed on an exchange, and we want to thank everyone for registering! It is great to know that so many potential customers and partners would like to join the Momentum Protocol platform. Once we confirm further details with registrants, we plan to have the white list sale commence a few weeks before the token listing date. We will send all registrants an email with an offer and an invite to purchase Momentum Tokens. Due to compliance there will be a short and easy KYC process to complete. World Acceptance Group has been an active member in the loyalty branch since 2007 with a mission to provide hotels worldwide the possibility to become less dependent on high cost booking sites, increase returning visitors and most importantly revenue. World acceptance group will be one of the first users of the Momentum Protocol, I would like to express a warm welcome to Barend and his team, and looking forward to a fruitful cooperation in the future! Pictures and more information can be found on our Facebook page. 2. Beam Wallet Pty. Ltd.
Beam Wallet is a 21st century global payments acceptance platform with built-in support for smart contracts. The signing of this preliminary partnership agreement is the natural first step in creating a complimentary relationship between Beam Wallet and Momentum. We are looking forward to a very bright future with Beam Wallet! Last but not least, Momentum is also proud to announce the recent signing of a preliminary partnership agreement with Mr. Job Berg, CEO and founder of JOB-B BV, based in Amsterdam. JOB-B is a marketing, events and merchandising company based in the Netherlands, who will be facilitating the company in the building of the “Momentum Alliance” with major organizations throughout Europe. Welcome to Mr. Berg and his team! This is our April update so far. We are excited about the future ahead of us, as we have plenty of work to do to fully realize our vision.